This is me wearing the Disco Ball costume that I handmade! It took about 40 hours, with lots of paper mache, flour, newspaper, staples, duct tape and shiny ribbon! 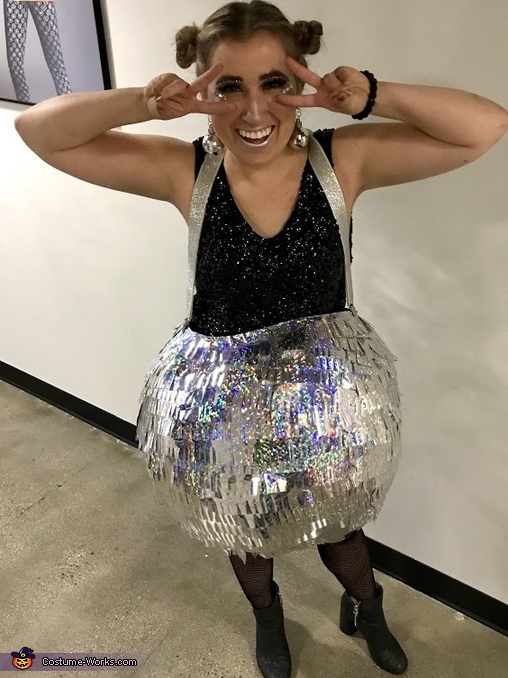 I was inspired to make this costume because I saw that Disco Balls are no longer being made, so I wanted their memory to live on forever!